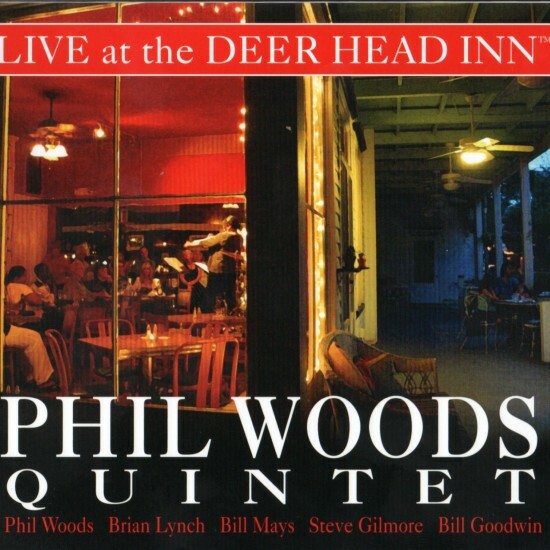 This seventh CD from the Live at the Deer Head Inn™ series was recorded on Bob Dorough’s 92nd birthday: December 12, 2015. Besides the usual WOW! factor, it allows us to mark many important events in his journey of remarkable accomplishments. Bob first started processing music in the 1920s, so he’s in his tenth decade of bridging two centuries through his composing, arranging, performing on piano and vocals, and recording. Late 2015 marked 60 years since the first commercially released recording of any of his works: “Devil May Care” was recorded two days before Thanksgiving (November 22, 1955) by Les Elgart & His Orchestra featuring vocalist Don Forbes. October 2016 was the 60th anniversary of Bob’s own recording of “Devil May Care” on the eponymously titled LP. In the mid-1960s, Buddy Jones, bassist on the Jack Sterling WCBS radio program in New York, was commuting from his 52-acre spread in Mount Bethel, PA, and encouraged Bob to look into moving to the area from Manhattan. Buddy’s wife, Betty, was dabbling in real estate and brokered the purchase, as she did for many NY-based musicians. Summer 2016 marked 50 years since Bob moved his family to rural Mount Bethel so that daughter Aralee could start first grade in the elementary school in nearby Portland, PA. Being raised in this bucolic setting only did her good. Her journey has included spending 30 years as a flutist in the renowned Houston Symphony, with 25 of those years as principal flutist. You can hear more of her extraordinary performances outside of the symphony with her dad, husband (HSO oboist Colin Gatwood), and a rhythm section on the CD The Houston Branch on Bob’s DeesBees record label, released in 2005. 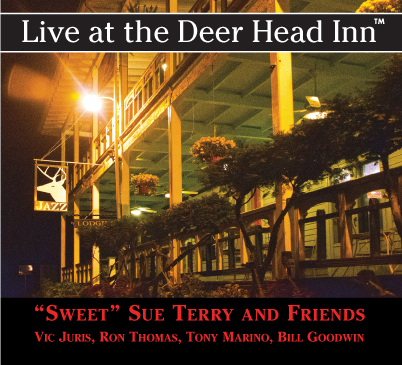 Bob first became aware of the Deer Head Inn in 1959 or 1960. He had returned to NY after working in Los Angeles for three years when Bob Newman hired him to be in the house band at Mount Airy Lodge, 17 miles northwest of the Gap. Bob D. stayed over four or five nights a week. After the last dance set, Bob N. would say, “Let’s get in the car and go hear some music at the DHI.” Bob D. wasn’t sitting in at that point, since the piano chair was occupied by 22-year-old John Coates Jr., who had started there at age 17. 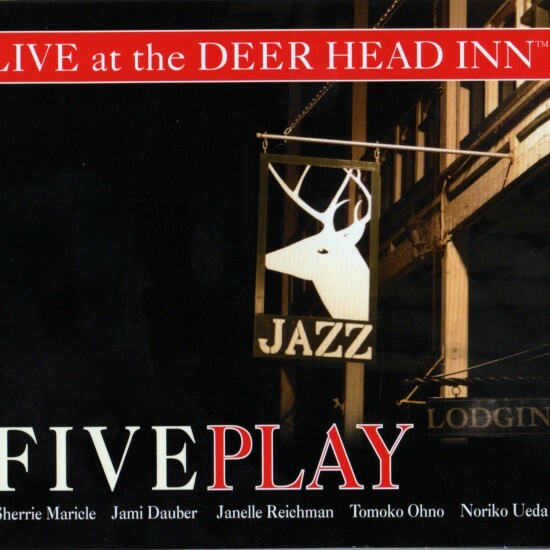 Incidentally, spring 2016 marked 65 years since the Deer Head Inn started continuous jazz programming. It was March 1951 and multi-instrumentalist John Dengler was told by the management of the Penn-Stroud Hotel (700 Main Street, Stroudsburg) that he wouldn’t be allowed to perform his usual Friday gig there on March 23 because it was Good Friday. He complained to Bob Lehr, who had acquired the DHI nine months earlier with his wife, Fay. 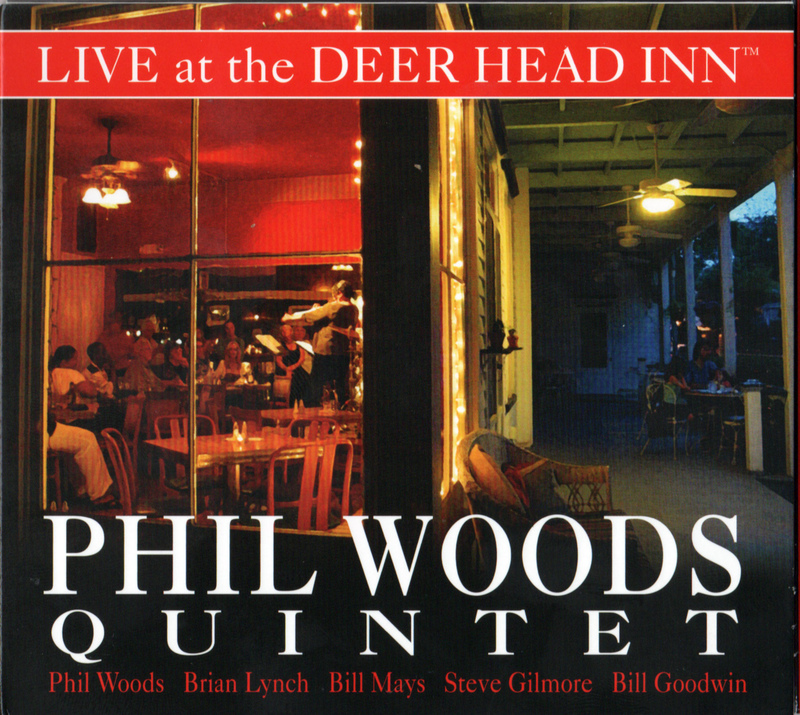 Ever the semi-non-conformist, Bob said, “Let’s do it here at the Deer Head Inn.” The DHI continues to be the longest continuously running jazz club in one location in the US. First up in this live set, Deer Head Inn co-owner/actor Denny Carrig opens with his typical enthusiastic persona and proper pronunciation of our hero’s last name: Bob DURR-oh! Bob and trio start us off with Ray Noble’s 1936 composition “The Touch of Your Lips,” a tune he probably heard at the tender age of 12, more than 80 years ago when it was all over the high-tech radio with five recordings that same year. Bob gives us some drum-like vocal effects and then sings the tune at a romantic, relaxed lilt, setting us up for an evening permeated with infectious looseness. He scats a chorus (a segment of the music that is the same length as the entire main melody, to make this missive neophyte-friendly) and then passes it off to his longtime trio mates, guitarist Steve Berger followed by bassist Pat O’Leary, each presenting a chorus. Such tone quality they’ve developed over the decades, individually and collectively! Bob gives us a shortened piano offering, then comes back singing, this time adding some understated DURR-oh vocal tone techniques, culminating with a reprise of the opening vocal effect. Bob probably heard French composer Ted Grouya and lyricist Edmund Anderson’s A-A-B-A work “Flamingo” 75 years ago upon the Ellington Orchestra’s 1941 release featuring the vocal styling of Herb Jeffries, followed by radio broadcasts where it rose to #11 on the Hit Parade. (’Twould be but a year before Bob entered the US Army as a musician during WWII.) Aralee starts us off with an exotic unaccompanied flute introduction reminiscent of Claude Debussy’s 1913 essential solo flute composition “Syrinx,” demonstrating her depth-of-tone approach. No Pro Tools needed when Aralee’s on the case! Such breath and vibrato control! Papa joins in, accompanying tastefully when she starts the beginning A section of the melody and Pat starts to fill it out as she approaches the repeat of the A section. After Aralee completes the entire melody (that will be $175 for your front row seats at the orchestra, folks! ), Bob gives us a vocal rendition in its entirety. Aralee soars above us all with an obbligato starting halfway through the melody on the B (bridge) of the form. She then takes a half chorus with a beautifully articulated solo feature through the next two A sections. Bob’s voice reenters on the bridge and they take it home with an occasional trill. A lovely mix of instrumental virtuosity and loose vocalization, wouldn’t you agree? “Learnin’ the Blues” was written in 1955 by Dolores “Vicki” Silvers and recorded by Frank Sinatra that same year. It’s not a blues as per the 12-bar A-A-B textual couplet, but yet another A-A-B-A bridge-laden form. Bob gives us a lesson (or a stinging reminder) of what to watch out for in relationships, then Bob, Steve, and Pat show us what they remember from past relationships, musical and otherwise. Bob’s background interaction with Pat is especially noteworthy. That voice returning on the bridge and his vocal outbursts leading to a scatted tag ending are vintage DURR-oh. Jack Teagarden and the Capitol Jazzmen recorded “Casanova’s Lament” in November 1943, which Bob says he learned from the Teagarden recording. This one actually is a 12-bar blues taken somewhat faster than the original. Bob sings two sets of A-A-B couplets, the first written by Teagarden and the second by Bob, ending with an extra safety word. Celebrated photographer Larry Fink follows with 12 bars as he hears it through the lens of his harmonica. Steve then gives us a chorus, Bob plays two, and Larry plays another one. Bob sings the opening two couplets, followed by eight bars of collective “Everybody!” improvisation, ending the tune with four bars (hence adding up to 12 bars on your scorecard) of the B taking us out. Next it’s sing-along time on another 12-bar blues, “Wiley Woman,” appropriately timed in the set after your server’s second (or third!) delivery. The third one’s always the “decider,” folks! Bob composed it in 2002 for a South American tour for the US State Department with an outreach mission to emphasize the blues. The even eighth-note groove is even looser in the audience, as a few people who shouldn’t even sing at noon are enthusiastically contributing. A good time was had by all, in case some might not have remembered it the next noon. Bob brings us back with a sobering rendition of Burt Bacharach and Hal David’s film theme “Alfie,” released as a single just as Aralee was starting first grade in 1966. Bacharach has stated that this is his favorite of all of his compositions. Bob respects his fellow composer and lyricist by paring this iconic ballad down to a once-through-the-melody delivery. Just when we might have forgotten about this one, Bob gives us a gem-like setting that is wonderfully placed in the set. Also in 1966 Bob composed “It’s Bound to End in Tears” with his longtime colleague, the celebrated lyricist Fran Landesman. She was under contract with TRO (The Richmond Organization) in New York. To promote her, they published In the Words of Fran Landesman, In the Style of Bob Dorough, a songbook of 30 songs accompanied by an LP of some of the tunes. Bob wrote nine of these songs with her, yet the only breakthrough commercially from the promotion was “The Winds of Heaven,” which was eventually recorded by The 5th Dimension on the mega-selling The Age of Aquarius LP, released in May 1969. Before that, “The Winds of Heaven” was recorded by Jackie Cain & Irene Kral on Capitol and released as a single on a 45 RPM. Cain & Kral performed it on the Hollywood Palace television program. Anyway . . . Aralee is back in the spotlight during the middle segment of “It’s Bound to End in Tears” with a beautifully loose Bob-composed flute solo shadowed by Dad’s right hand. He wrote a colorful ending for this one that exploits Aralee’s meaty tone and refined vibrato. Bob starts another set with “The Sweetest Sounds” from the musical No Strings with words and lyrics by Richard Rogers in 1962, the same year that Bob recorded with Miles Davis. Pure straight-ahead DURR-oh here with his vocal and piano improvisation followed by Steve’s “all strings” guitar solo, underpinned by excellent piano comping. Pat’s eighth note‒saturated bass solo (yes, all strings, as well) is also supported ably by Bob, and he exploits a repeated pattern to great effect right through to the end. Bob woke up on the morning of Saturday, June 21, 2014 and heard on the news that it was the summer solstice, the longest day of the year. 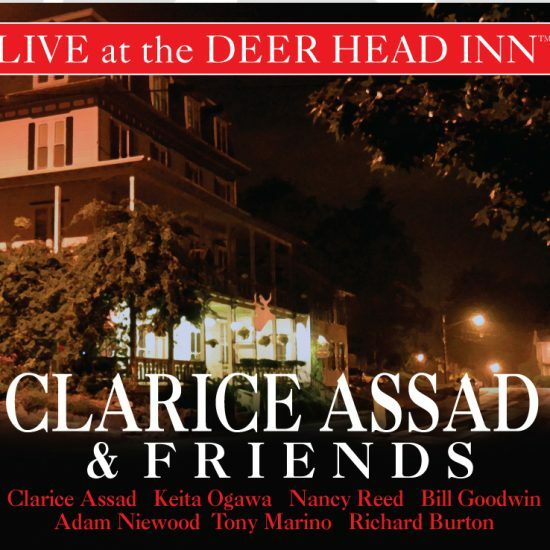 He sat down, composed “Summer Solstice,” and performed it that night at the Deer Head Inn. It’s programmed here a few days before the Winter Solstice, yet no matter what time of year, love-themed lyrics and world-class flute execution are always in season. It’s a clever Latin rhythmic A-A-B-A form with extensions with an occasional section of lilting DURR-oh trio swing feel. Closing out the package is “Devil May Care,” Bob’s most significant evergreen contribution to the Great American Songbook. Just ask Diana Krall, Jamie Cullum, and the estate of Miles Davis. It’s his A-A-B-A lesson to us. His anthem of looseness that answers our profound question of him: “How do you do it, Bob?” He answers out of tempo (lesson 1), throwing us off by not starting at the beginning but at the bridge (lesson 2), just like the New York Voices started it a capella to begin Bob’s 2012 CD Duets (available from COTA) with Phil Woods, drummer Bill Goodwin, and bassist “T” Marino. Further keeping us off balance, this song contains a “Girl from Ipanema”-esque double bridge (lesson 3). Bob’s interpretation of his own tune has evolved over the decades splendidly. After all of this talk of marks of time, looseness, bridges, and song forms, and since “. . . Only a Fool Thinks He Can Hold Back the Dawn . . . ,” the time has come to please remember our server and walk into the brisk December Water Gap night. After all of this artistry, we’ve once again been rejuvenated with thoughts of greatly looking forward to hearing him and his associates again . . . more than ever . . . as we have for decades . . . always hoping for sooner rather than later. 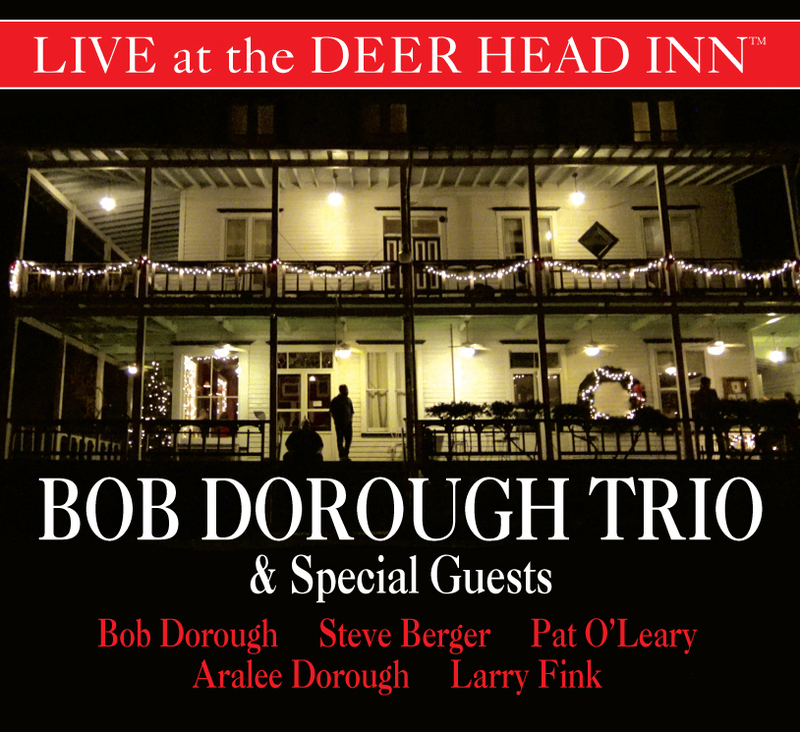 Bob Dorough Trio and Special Guests Live at the Deer Head Inn. 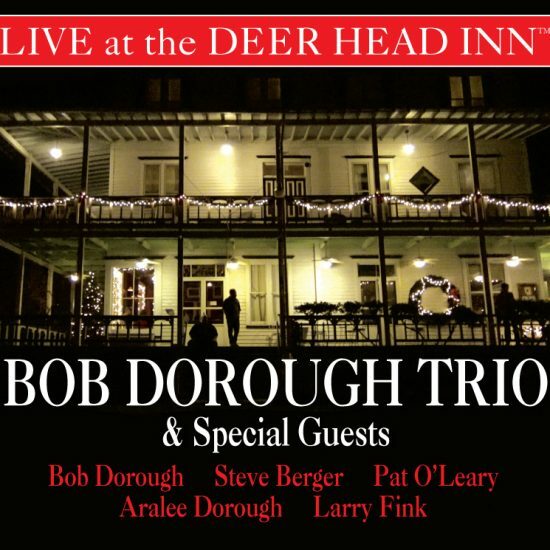 American Master Bob Dorough’s 92nd Birthday Concert Live at the Deer Head Inn.